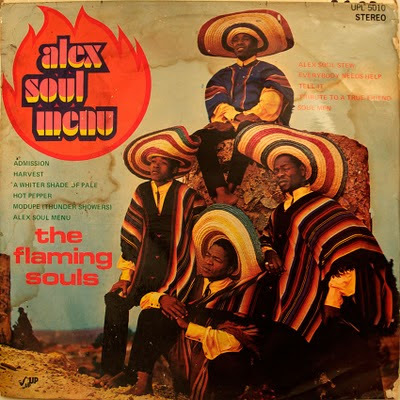 The Flaming Souls were formed by Simon Twala and Philip Malela when Alexandra's first soul group The Anchors broke up. 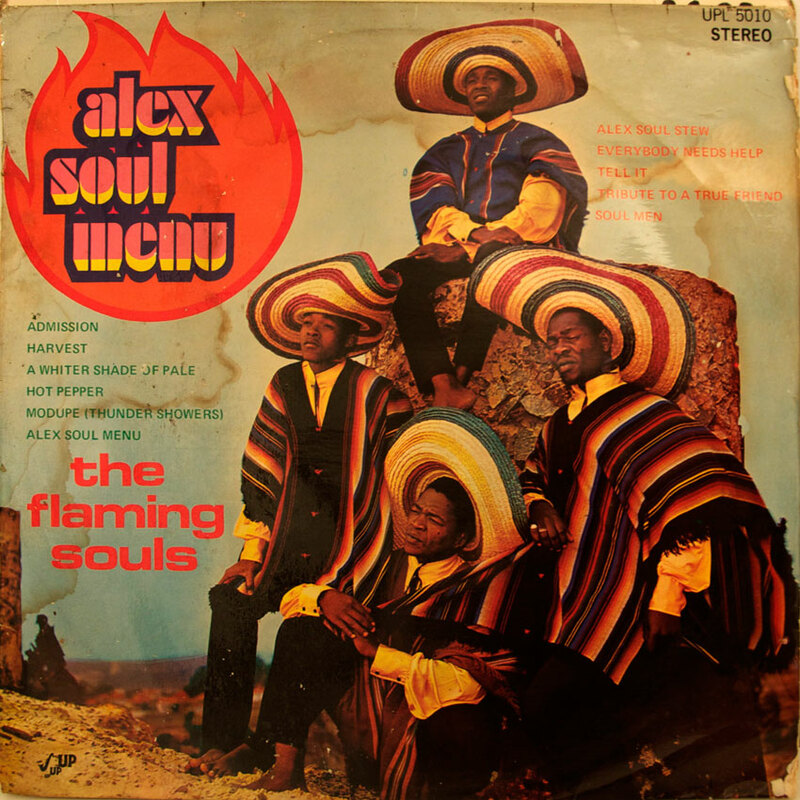 They recorded two full length LPs, She's Gone (UPL2008) and Alex Soul Menu (UPL2010). Other members of the group included Gerald Khoza, Herman Fox, Kenny Mosito and Condry Ziqubu. For more details on the Soweto Soul scene check out "Beyond Memory: Recording the History, Moments and Memories of South African Music" by Max Mojapelo as well as the sleeve notes to Next Stop Soweto Volume 2, that included a Flaming Souls tune. 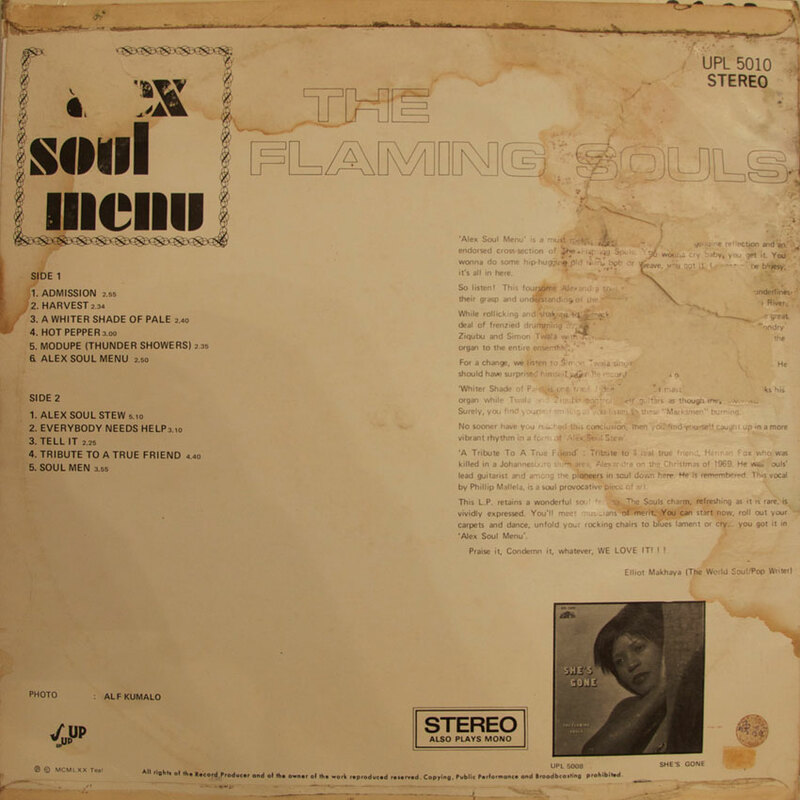 The Flaming Souls were produced by Teal record scout West Nkosi. Apologies for the condition of this record but we felt the historical value outweighs the fidelity. 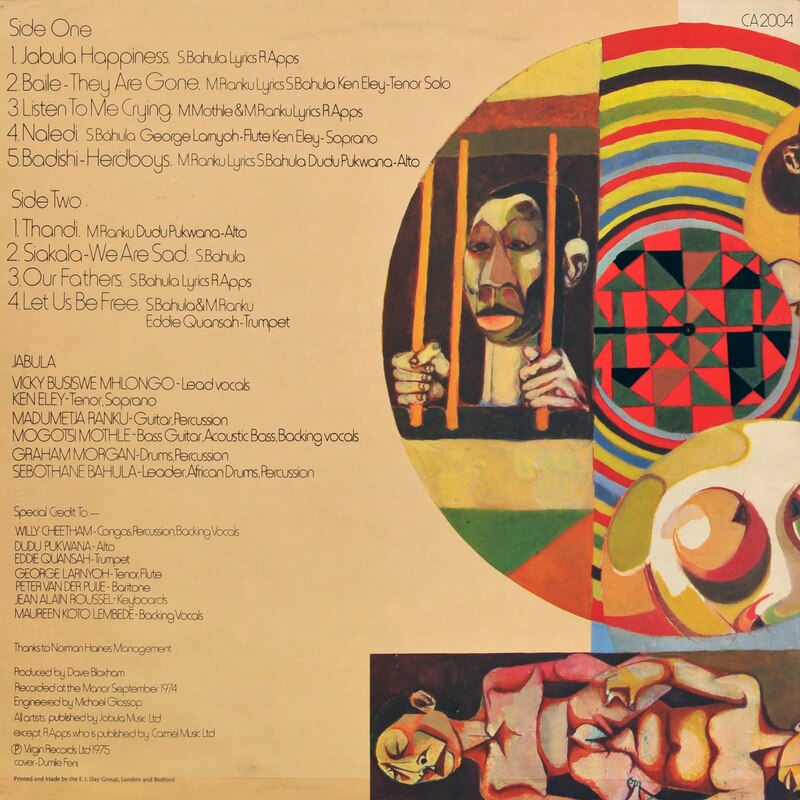 This Gallotone LP is testament to a sophisticated Lusophone music scene in southern Africa more than fifty years ago. It is also an important and beautiful record of Moçambique’s gift to the Portugese and global canon of Fado music. Most important, this LP is the earliest recording that Electric Jive knows of Moçambican singer Joao Maria Tudella (below right) who went on to become a globally recognised Fado singer. 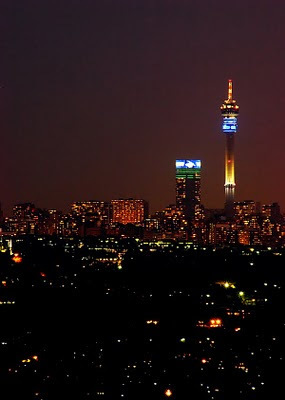 The estimated date of this Johannesburg recording is 1955 or 1956 (GALP1011). This album also contains important Moçambican Fado compositions, including the perernially popular “Uma Casa Portuguesa” which is about: "The Portugese home has its own characteristics. It is simple and lives off the sincere friendship of those who belong to it, and values more the tenderness of a kiss to the warmth of a fireplace which often they cannot afford." (from the back cover). An authoritative 1973 essay by musicologist Margaret Nabarro captures the fascinating history of Fado in Moçambique. “As in Portugal, the accompaniment to the Fado in Lourenço Marques was provided by the two guitarists, the Portuguese guitar providing the melody and the Spanish guitar providing the harmony, often a ground bass. “Although most of the fados performed in Lourenço Marques came from Lisbon there were examples of locally produced fados. Artur Fonseca, the brother of Antonio Fonseca, the guitar player, studied music in Lisbon and he is a composer of considerable repute. One of his best successes is the fado “Uma Casa Portuguesa. This fado is internationally known and has been sung and recorded in Lisbon by many famous singers including Amalia Rodrigues, who is still regarded by most as the “Queen of fado singers”. The libretto of «Uma Casa Portuguesa» was written as a poem by two young Lourenço Marques poets, Matos Sequeira and Reinaldo Ferreira. 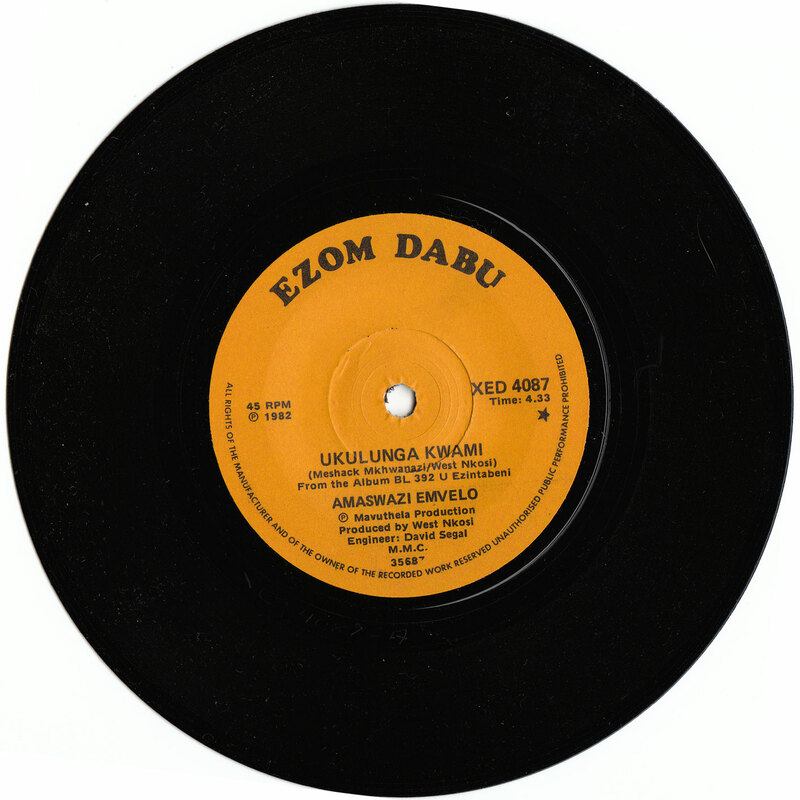 The first performance was given in Lourenço Marques in the Spring of 1954 at the Radio Clube de Moçambique and the singer was Sara Chaves.” Read more here. 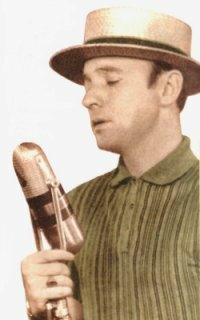 Fado Singer Joao Maria Tudella was born in Moçambique in 1929 and schooled in South Africa. He was unsuccessful in his law studies in Coimbra, Portugal and was forced by his family to return to Mozambique. Tudella persisted with his singing passion and became famous for it. This recording is one of the earliest and was made while he was still working in Lourenco Marques either for Shell or for an insurance company. In 1959 he linked up with the South African Dan Hill band and had an international hit with the song Kanimambo. Tudella persisted with singing Fado and went on to tour America, Brazil and became a big hit in Portugal in the 1960s, winning numerous awards and national prizes there. Read more about him here. 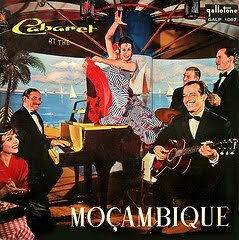 Gallotone issued a follow-up Lusophone issue (GALP 1067) in 1959 to celebrate the first anniversary of the “new” Moçambique Restaurant in Noord Street, Johannesburg – “Cabaret at the Mocambique”. You can find most of the songs of this recording over at our good friend Soul Safari. This post goes out to "music-knitter Nauma at the freedomblues blogsite - thanks Nauma for sharing all the wonderful Fado and other Lusophone music you have posted recently! 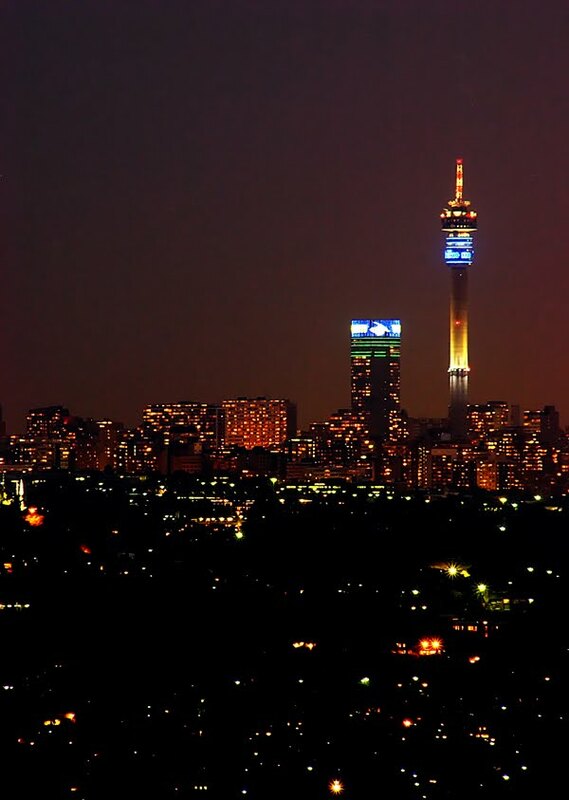 Part two of this one-two sees Spokes Mashiyane explore a wider range of possibilities with his saxophone in mapping out what was to become mbaqanga. Play any South African the first few bars of 'Emafini", and no matter where they are, they will recognise the "source" – add in the the still jazz-rooted uptempo mbaqanga bassline, the ocassionally soloing rhythm guitar, and the essential ingredients are set. 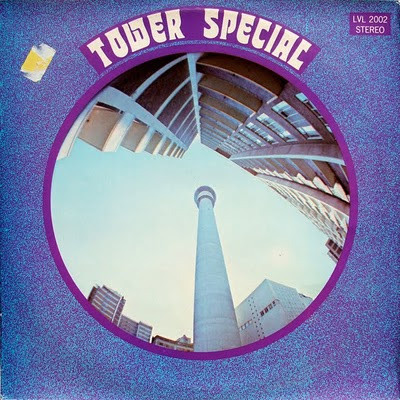 So – how about it you good folk with old 78 recordings kicking around in your collections? Electric Jive would be very happy to make everybody happy by sharing them here?! The 78rpm hisses on this recording have been "tidied up" with Click Repair. Every now and then record digging in Durban turns up some rarities that convince you to keep on perservering. In addition to the last two posts on Electric Jive, a pile of five shellac 78rpm’s found their way to me from an older person who was leaving the big city for a small house in a small rural town - just could not afford big city life anymore. 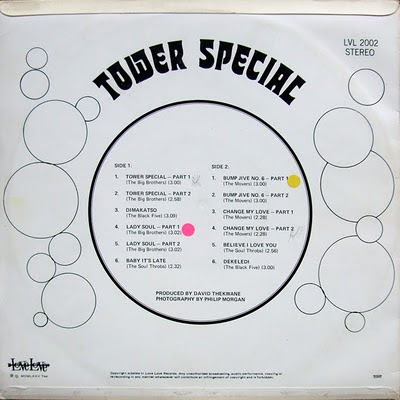 Herewith a quick-fire one-two of Spokes Mashiyane recordings done on the “New Sound” label. ClickRepair has been used to tidy up the standard hiss one gets from these old 78s. Spokes Mashiyane and his All-Star flutes is more in the mould of the traditional banjo and flute kwela music that was so popular in the late 50s and early 60s. The third song offered today. 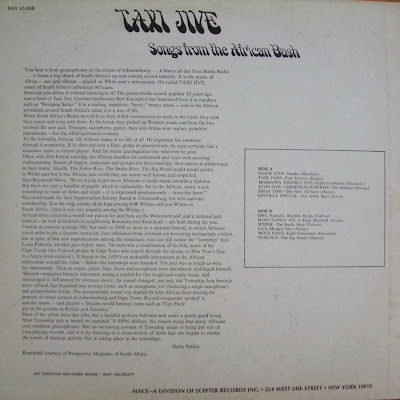 “Bo Joang Joala” is a combination of pennywhistle and banjo backing to a more mbaqanga-oriented vocal platform for male and female voice, replete with great ululating. The “B” side of this particular recording “Qo Petsa” is unfortunately damaged. The surface is not scratched or visibly impaired, and no matter how much careful cleaning, the sound still comes out muffled and inconsistent. I can only conclude that it was an “off” pressing? Tomorrow’s offering takes Spokes into saxophone territory. Another important addition to the growing archive of late fifties pennywhistle and emerging jive compilations. Not the ‘commonly known' version of “something new” here – the Solven Whistlers open the set with a languid, clarinet-accompanied recording of their popular pennywhistle classic. 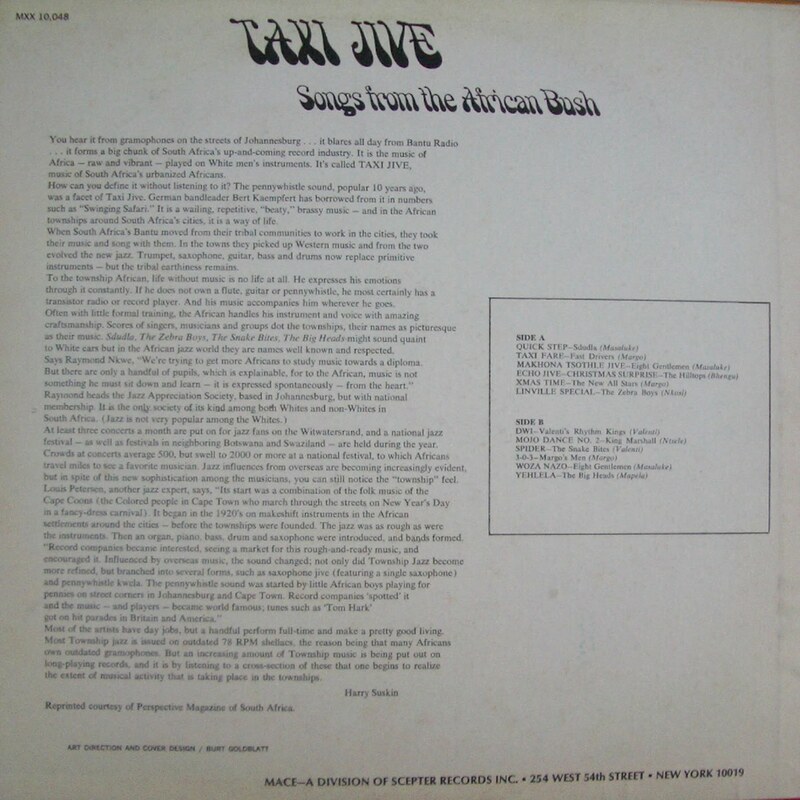 According to music researcher Lara Allen, this 1957 LP was the first release of a black South African music on 33rpm LP - because it was aimed at white audiences. It also feature visiting American clarinetist Tony Scott. (Kwela's White Audiences, in :"Decomposing Apartheid"; 2008; Wits University Press). 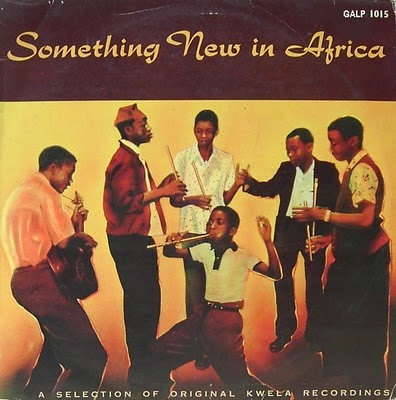 Many mbaqanga songs in the sixties and the seventies were introduced with an almost vaudeville-like nonsense dialogue. Kwela Bafana is an early example of the “Basement Boys” introducing their song in Afrikaans, referencing the emerging popularity of the saxophone: “Where are you going my brothers? We are going with other men who play saxophone, and we will play the flutes.. and I don’t know what will go for what … Kwela Bafana!. The Six Lads introduce slide guitar into their songs, along with a little yodelling, while the Basement Boys explore a ska-driven whistling number in Upstairs Jump. Julian Bahula found himself in London in the early seventies as part of the South African afro-rock group (African) Hawk. As one of the first "mixed race" rock bands Hawk had drawn more than enough attention to themselves back in South Africa and an attempt to break into London seemed like a sensible and logical step. A full story of what transpired is contained in the sleevenotes for the reissue of the 1973 album by Retrofresh here. There is not much happiness on the faces of Hawk in the promo shot for the UK's Melody Maker in 1973 above. 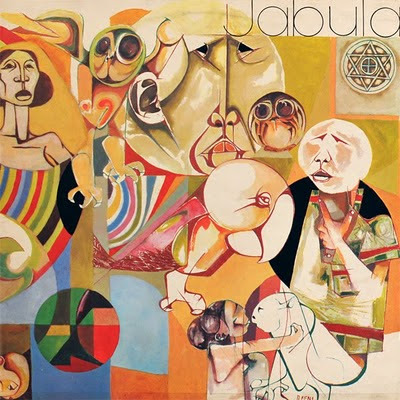 Hawk fell apart but Julian Bahula began working with a number of African and European musicians eventually as the leader of the group Jabula (which means Happiness). 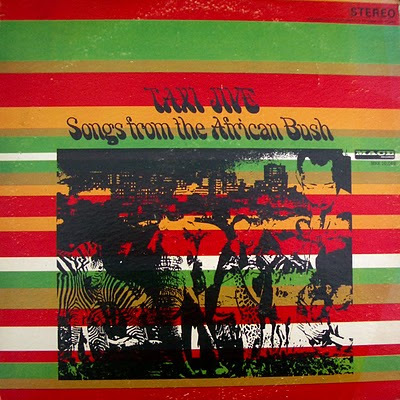 The album we share with you today is the debut from 1975 of the group and it also features Busi Mhlongo on vocals. 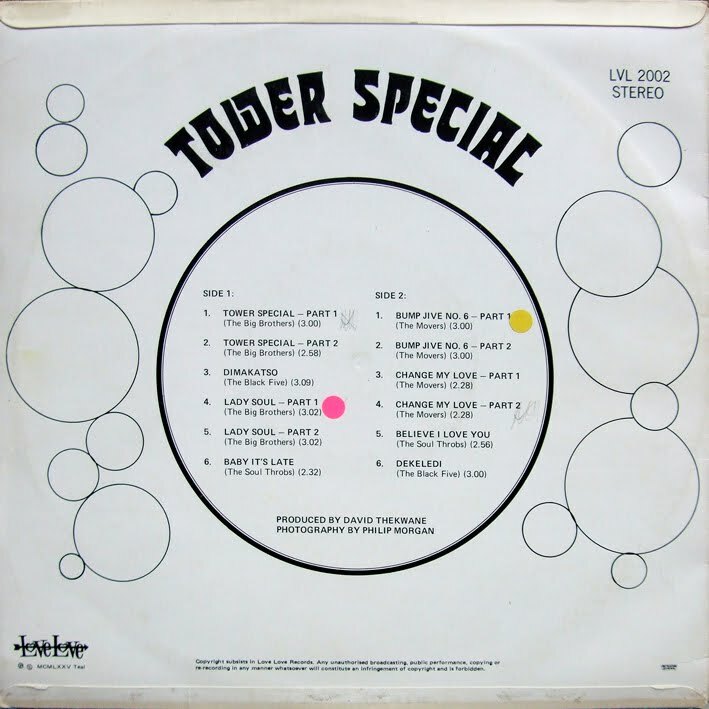 A full discography is available at Wall of Sound. 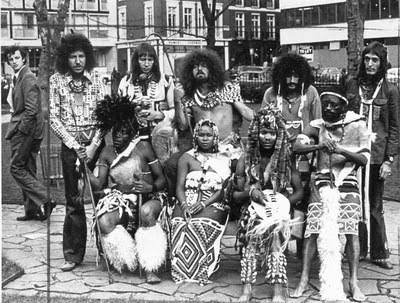 In the late seventies and through the eighties Julian became a tireless promoter of African music in London at venues such as the 100 Club. Check his personal web-site here. Amaswazi Emvelo were perhaps the last “greats” to come out of the famous Mavuthela mbaqanga stable. 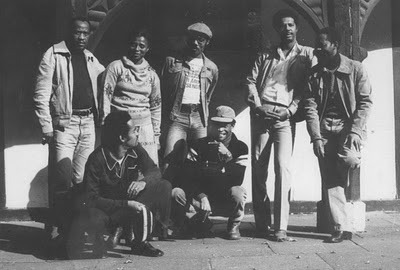 Led by Meshack Mkwananzi, this SiSwati vocal group features on all the great 80s international compilation albums – including on all three volumes of “The Indestructible Beat of Soweto”. After their eigth album, Mahlatini Nkabinde approached Amaswazi in the mid 1980s and together they produced two highly successful collaborations. Today’s offering is from 1985. Before he “left” or “retired” as Gallo Music’s archivist, Rob Allingham did a great job in re-mastering and re-issuing a heap of important South African music on CD. In the case of Amaswazi Emvelo, Rob did the "right thing" in re-issuing ten Amaswazi Emvelo albums onto CD. This is a heads up to those of you who love this music – you can still buy these albums from Kalahari at really low prices – ZAR 39.85 (less than $6 U.S.) – have a look here. Recorded on 27th June 1985. Produced by West Nkosi. Engineered by David Segal. Thanks to Gugu Mtolo for assistance with the translations. 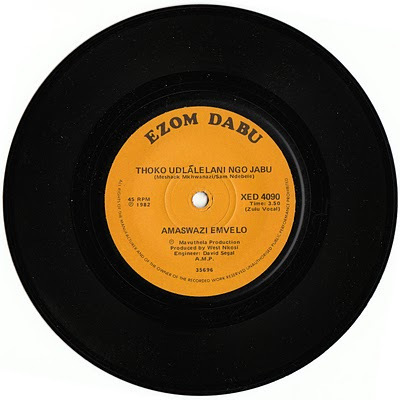 As an added "SPRING" bonus – herewith a mix of eight songs from Amaswazi Emvelo seven singles, some of which will not be found on the Gallo re-issues.